The country’s largest for-profit college chain is about to get a bit smaller, as a new report reveals that The University of Phoenix is no longer accepting new enrollments at two dozen campuses and learning centers across the country. The move to stop new enrollment at the 14 campuses and 10 learning centers is part of a new “market investment strategy” at the University of Phoenix, the Memphis Business Journal reports. University of Phoenix president Tim Slottow announced the change in a memo this week, saying that an evaluation of all campuses led the company to make the determination it would only invest in 67 campuses in 17 states. Instead of allowing student to enroll for on-campus classes, the school says it will only accept online students in the affected areas from now on. Students currently enrolled at the campuses will be able to continue to take classes until they graduate. The campus evaluation centered on several statistics including the total working adult population, job demand, employer trends, student demand and preference, population density, state education levels and the labor market. Consumerist reached out to the University of Phoenix and its parent company Apollo Education Group for more information about the enrollment changes and what campuses are affected. The Business Journal reports that campuses in Memphis and Nashville, as well as a learning center in Chattanooga are slated for the changes. 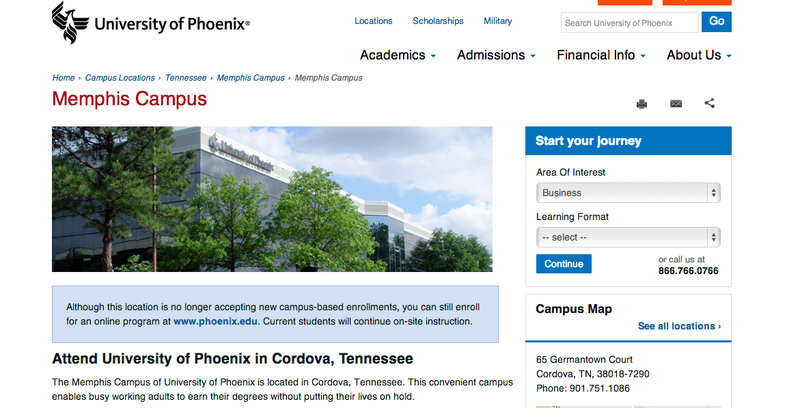 A quick search of the University of Phoenix’s website found several campus pages – including those in Des Moines, IA, Boise, ID, Oklahoma City, Louisville, KY, and some in Alabama – now have a blue text box indicating they no longer accept new campus enrollment. It’s unclear if those declarations are new or were part of previous transitions for the company. We’ll update this post with specific campus information when we hear back from reps for the school. 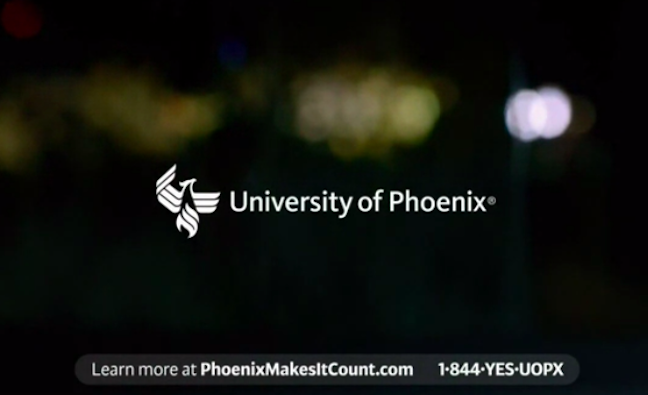 The University of Phoenix has faced a series of issues in recent months. In the last two weeks, the college chain has found itself party to investigations by both the Federal Trade Commission and the California Attorney General’s office related to its business and recruiting practices. The online school has seen enrollment falter in recent years, as the for-profit industry has come under greater scrutiny from regulators related to allegedly deceptive marketing practices like inflated graduation and job placement rates and aggressively pushing students into expensive private loans. In March, Apollo CEO Greg Cappelli blamed the continued enrollment decline on a”transition” the career college has undergone and a decrease in marketing expenditures.